Walking A Dog On A Leash Tied To Increase In Human Fractures : Shots - Health News Maybe it's just because a large number of older people have learned the benefits of exercise and canine companionship. Whatever the reason, walking a dog on a leash has been linked to more fractures. For most of us, the benefits of a walk greatly outweigh the risks, doctors say. Get off the couch now. That doesn't surprise 69-year-old Susan Bush, who lives in Pocono Pines, a mountainous resort area in northeastern Pennsylvania. A little over two years ago, Bush was taking Piper, her German shepherd mix, outside. They didn't get far. "A bear came out of the woods nearby," Bush says. As she recalls, she was holding tightly to Piper's leash, hoping the dog wouldn't chase the bear. But Piper lunged, pulling Bush from her feet. As they twisted around, the dog was fine, but Bush ended up with a broken leg. That's the sort of fracture researchers from the University of Pennsylvania turned up in their examination of more than a decade of federal injury data at 100 U.S. emergency departments nationwide. In 2004, among patients 65 and older, there were an estimated 1,671 cases of broken bones linked to walking a leashed dog, compared to 4,396 in 2017. Most fractures were among women. The study appears in the current issue of JAMA Surgery. The findings are "interesting and a bit unexpected," says senior author Dr. Jaimo Ahn, an associate professor of orthopedic surgery in the Perelman School of Medicine at the University of Pennsylvania. "We wanted to look at patterns around fractures specifically in the elderly because this is an extremely common injury among my patients," Ahn says. Upper arm fractures were most common. That makes perfect sense, Ahn says, "because usually when you fall you try to brace yourself with your arms." But nearly 1 in 5 people suffered hip fractures, which can be particularly dangerous for older individuals, who have a tougher time recovering. "If you had no assisted walking device before the fracture, after the fracture you have a more than 50 percent increased risk that you will need a cane," Ahn says. "If you were already using a cane, then you have a greater than 50 percent increased risk of needing a walker." The study doesn't get into why such events have increased, though Ahn has his suspicions. "More people are out there doing things," he says, "and that has likely led to more accidents and fractures." He certainly does not want to discourage dog walking. 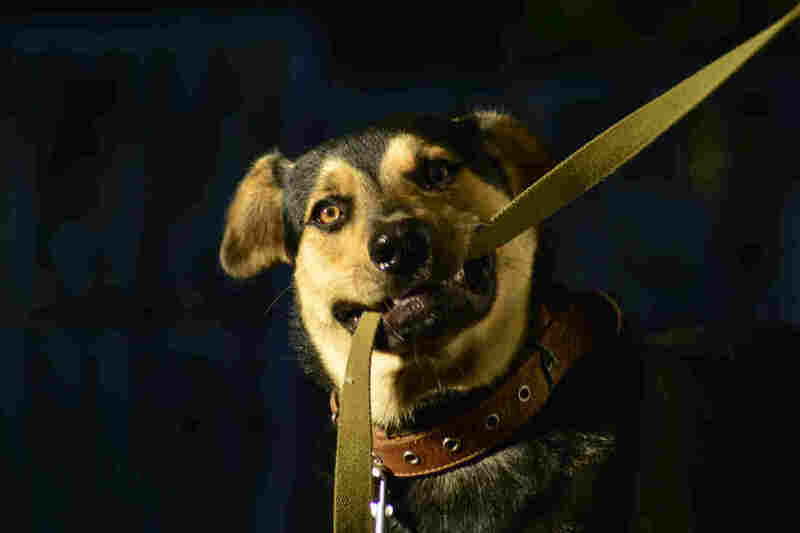 But recognize the limits of your strength, he advises, and maybe work on training the dog not to pull on the leash. Dr. Tim Church, a preventive medicine specialist with Pennington Biomedical Research Center in Louisiana, was not involved in the study and notes that although falls are on the rise, they are still rare. In the context of a population of close to 50 million people over 65 in the U.S., he says, 4,000 injuries signify a "relatively small incidence." "Life's a contact sport," Church says, "with risk everywhere you look; there's risk with jogging, biking, driving to work and, of course, walking a dog." Any risk associated with dog-walking is far outweighed by the risk of doing nothing, he notes (and Ahn agrees). "Sitting on that couch hours on end," Church warns, "carries extensive health and mental health risks."